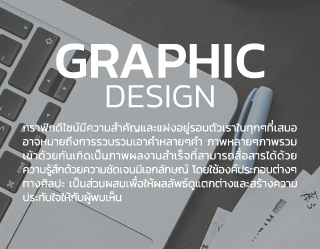 Graphic design play an important role today. Printing is a type of graphic design that collects precise word and meaningful image including diagrams, charts, photographs, and painting with art elements to create a distingue design.The more uniqueness would create more efficiency to communicate customer’s message in a clear and attractive way. Design and printing services for brochure, card, food menu, book cover, poster, leaflet, flyer and etc. Materials are available ranging from vinyl to inkjet. We also offer drawing, photograph or computer graphic for developing and advertising.